The Montreal Canadiens took a two games to none lead in their Stanley Cup semi-final series with the Toronto Maple Leafs last night in Montreal. The Habs skated to a 3-1 win over a Toronto team that seemed listless and almost disinterested in the outcome. After a brutish game one, thanks to Toronto’s blatant intimidation tactics, the Habs turned the tables in the second match of the series and out-muscled the Leafs at every turn. Captain Jean Beliveau played a particularly strong game and used his considerable size to advantage. Canadiens bumped the Leafs off the puck early in the game, and took the proverbial starch out of their attack. Terry Sawchuk was the surprise starter in goal for Toronto and if not for his excellent work, the game might have been classified as a route. Sawchuk made 36 saves, including 19 in a Montreal-dominated second period. 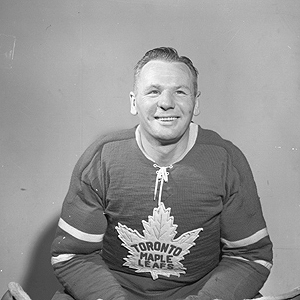 Johnny Bower was slated to start the game, but was unable to go after he accidentally rubbed linament into his eyes during the pre-game warm-ups. 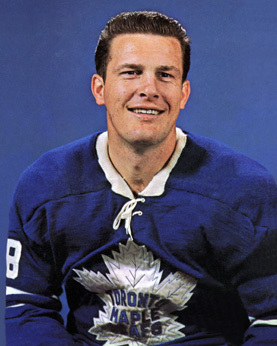 Johnny Bower : liniment in the eyes blinded him in warm ups. Bower usually applies oil of wintergreen to warm his legs and body before he dresses for a game. Last night he forgot to wash his hands after the application, and during warm ups, he wiped sweat from his brow. The liniment irritated his eyes so much that his vision was temporarily lost. Sawchuk was unceremoniously thrown into the battle, and responding magnificently, despite the loss. Montreal jumped out to an early 1-0 before the game was three minutes old. The Habs were rushing the Toronto net when Claude Provost banged home his own rebound after Sawchuk had made three quick saves in succession. The Leaf netminder had no chance on the play. Sawchuk held the Leafs in until Ron Ellis tied the score at 10:49 of the middle frame. The Leaf rookie right-winger put home a Frank Mahovlich rebound to give the Leafs an undeserved 1-1 tie. That would be as close as Toronto would get. Late in the second period Beliveau scored the game-winning goal on yet another rebound. This one came off Henri Richard’s drive, on which Sawchuk had made a splendid save. The goal was Big Jean’s 43rd goal in Stanley Cup competition, the fifth-best total in NHL history. 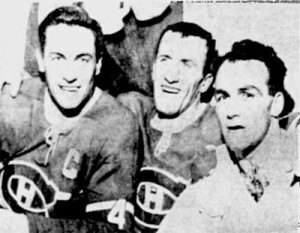 Montreal goal-getters Beliveau, Provost, Henri Richard. Henri Richard gave the Habs an insurance marker just past the twelve-minute mark of the third on a flukey goal. Little Henri flipped an 80-foot blooper at the Leaf net which took a crazy bounce past a shocked Sawchuk. Toronto coach Punch Imlach was not happy with his charges and didn’t mince words. Punch Imlach is not happy with his squad. Despite the extremely poor showing by the Leafs, Imlach still managed to show some optimism. “Now we win our two games at home and then it becomes a best-of-three series, and what’s wrong with that? Imlach was asked if he was going to sequester his team at some remote location in order for them to contemplate their situation. He said that is not the plan. Canadiens’ coach Toe Blake had high praise for the defensive acumen of his usually offensive-minded team. He singled out winger Bobby Rousseau and Beliveau for making defensive plays that turned the tide in the game. “Those two…the good defensive play of Jean-Claude Tremblay and the penalty-killing work when we were two men short in the first period was the difference. Blake also cautioned against over-confidence. Toronto defenceman Kent Douglas sat out the game after being suspended by NHL president Clarence Campbell just several hours before game time. The suspension, for only Saturday’s game, was meted out after Douglas had felled Montreal forward Dave Balon with a blow to the head with his stick in game one. 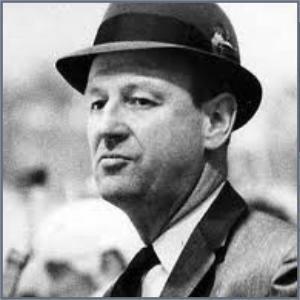 Imlach was livid that Campbell had waited until so close to game time before announcing the sentence. He was also seething that Balon, who allegedly started the lumber duel, got off scot-free. Leaf president Stafford Smythe was not happy about the late decision, either.